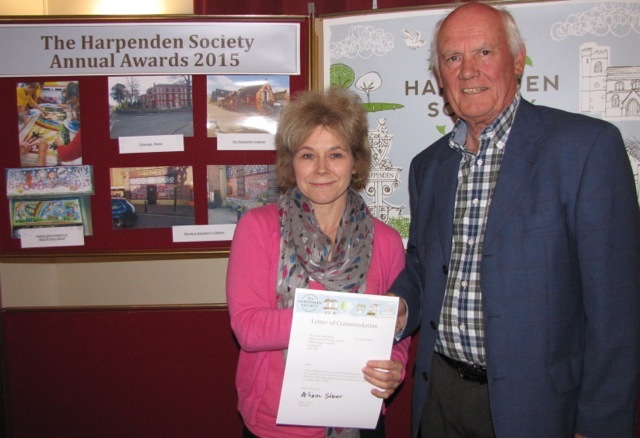 Gleneagle Manor wins the approval of The Harpenden Society with a Plaque as the top honour in their prestigious annual awards for 2015. 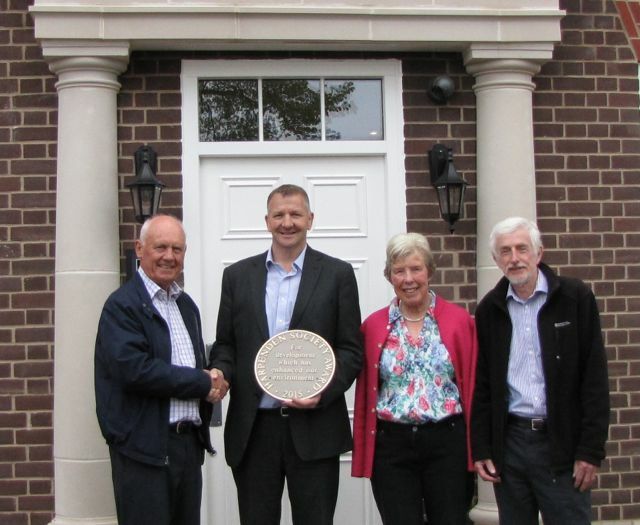 Society chairman Chris Marsden presented the Plaque to Mike Peters, CEO of Jarvis Homes on Wednesday May 11th at one of the entrances to the apartments. The development by Jarvis Homes, comprising 25 apartments, with an end value of approx.£25 million is the largest speculative project completed by the Harpenden based developer an contractor. The scheme was designed by local architects RDT, with a brief to ensure the new building reflected the character of the former “Hotel” and the surrounding conservation area. Each apartment has been designed to offer “Grand” living with high ceilings, generous rooms sizes and was fitted to a very high and exacting standard. Jarvis CEO Mike Peters said “We believe we have created an impressive Harpenden landmark and a new gateway to Harpenden, on this prominent corner site. We are very proud to have masterminded the creation and delivery of this prestigious development and we are delighted with the its success, with all apartments being sold off plan”. From L2R: Society Chair, Chris Marsden; Jarvis CEO Mike Peters; Society Chair of Awards Committee Penny Ayres and Mike Waddilove, Society Built Environment committee. Certificate of Merit. Presented to the new Harpenden Academy free school in Vaughan Road. The historic parts of the building have been sympathetically restored to their original use and the new additions are an improvement over the former library. 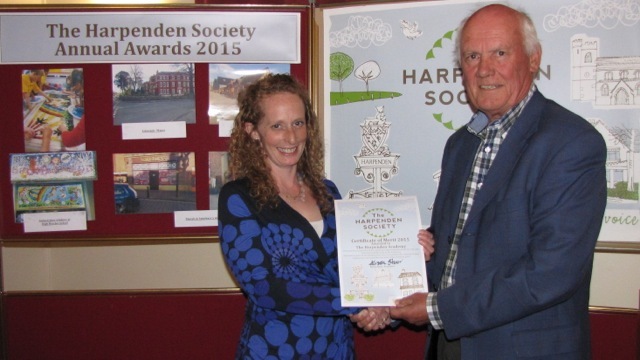 The Society’s Chairman, Chris Marsden, presents the Certificate to Ruth Martin, chair of governors, Harpenden Academy. Letter of Commendation. 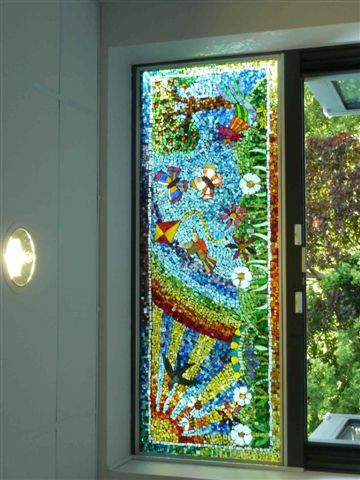 A Letter of Commendation was presented for the two beautiful stained glass windows, one depicting day and one depicting night, which were designed and made by the pupils of High Beeches School under the direction of Helen Robinson, a local artist. The Society’s Chairman, Chris Marsden, presents the Letter of Commendation to Jo Drake, chair of governors, High Beeches school. Letter of Commendation. 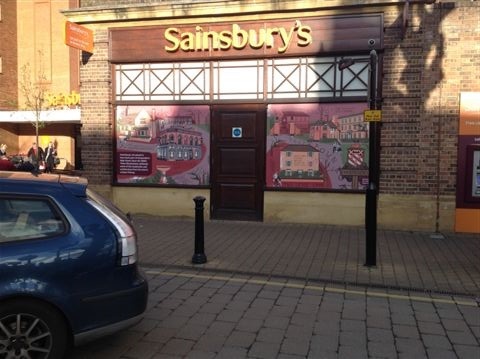 A Letter of Commendation was presented for the murals displayed by Sainsbury’s, for their superb graphic style and very interesting historic theme.